Thomas Heaphy (1775-1835), Painter. Artist associated with 47 portraits, Sitter in 2 portraits. 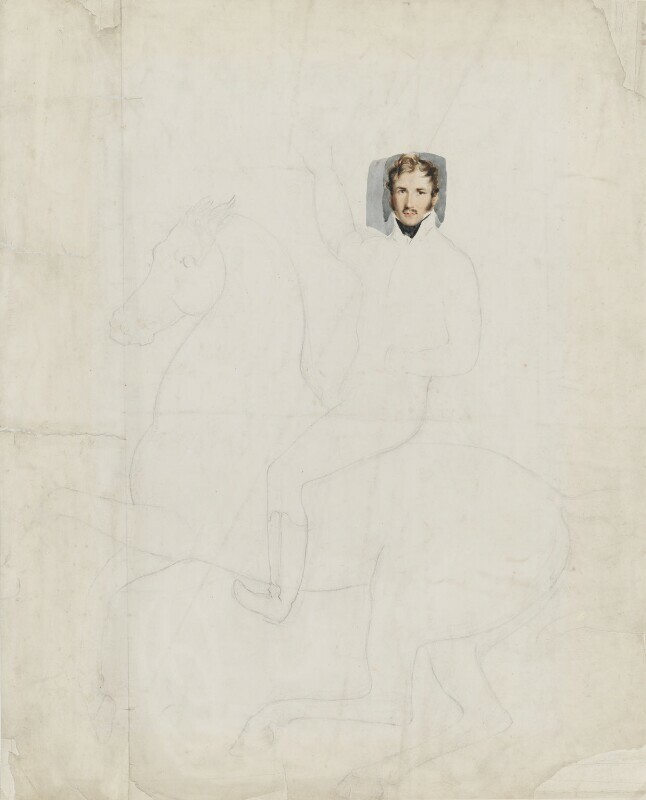 In this partner piece to that of Princess Charlotte, Thomas Heaphy, who had previously travelled to the Peninsula to depict members of Wellington's army, prepared a preliminary study of Prince Leopold as the dashing cavalry officer.